Nabil Fekir is a French international footballer of Algerian origin who can play as either a forward of an attacking midfielder. He currently plays for the France-based club, Lyon. The talented attacker, who was named the 2014-15 National Union of Professional Footballers (UNFP) Ligue 1 Young Player of the Year, found himself in the middle of a tog of war between his country of origin and birth when he came of age. Despite objections from his father, Fekir chose to play for France and is among the team that won the 2018 FIFA World Cup. Nabil Fekir was born on the 18th of July, 1993, in Lyon, France, to parents from Algeria. he grew up playing football on the streets of Lyon before joining a youth team at the age of 6. Fekir began his journey to the top of his game in 2000, joining AC Villeurbanne. He played for the team for one year before moving on to FC Vaulx-en-Velin where he played for two years and moved again. In 2003, he joined SC Caluire and later made a dream switch to Lyon in 2005 which, however, turned out to be a nightmare as he was released by the side for not being strong. He subsequently rejoined FC Vaulx-en-Velin where he played for three years before joining Saint-Priest in 2010. It was with Saint-Priest that a young Fekir began to attract scouts from all-over the country, even from Lyon, the club that previously kicked him out the door. In 2011, Nabil Fekir put pettiness aside to rejoin the side he had always longed to play for. From 2011 to 2013, he featured heavily for the Lyon B team before making his debut for the first team in August 2013. He went on to make 17 appearances for the team in all competitions, scoring his first competitive goal on April 27, 2014, in a Ligue 1 match against Bastia. In the 2014-15 season, Nabil Fekir became somewhat of a mainstay in the side as he won plaudits from all across the country. That same year, a tussle began between France and Algeria on who the attacker should play for. 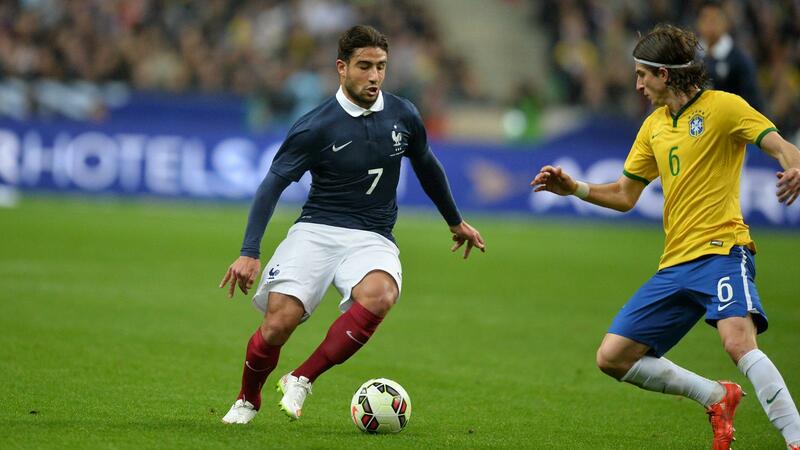 Despite having initially opted to go with Algeria, Fekir decided to represent Les Bleus. He managed 13 goals and 9 assists in his first full season as he was further named to the Ligue 1 Team of the Year. In 2017, after Maxime Gonalons was sold to AS Roma, Nabil Fekir was named the captain of Lyon, a testament to the impact he was having on his teammates and the club in general. Fekir has since the start of 2018 been speculated to be seeking a move away from the club. It was reported that English Premier League side Liverpool paid €60 million for his services which Lyon at first agreed to. Negotiations, however, eventually broke down and as at the time of writing, he is still a Lyon player. He has made a total of 153 appearances, scoring 57 goals along the way. Not much is known about Nabil Fekir’s family aside from the fact that his father, Mohamed Fekir, is from Algeria and he has a younger brother, Yassin Fekir, who plays football. His father was in the news when his older son was choosing which country to show allegiance to. He had boldly stated in an interview that Nabil Fekir will play for Algeria which did not pan out as he said. His younger son, Yassin, who was born on the 5th of May, 1997, in Lyon, France, in 2018, put pen to paper on a two-year deal with his hometown club after having previously represented its youth side, Lyon B.
Nabil Fekir is 5 feet 6 inches tall and weighs 72 kg. It is obvious that the attacker has not been blessed with much height, however, his size provides him with a low center of gravity that allows him to keep hold of the ball as he drives at defenders. This has turned out to be a significant part of his game today. Nabil Fekir is not married and has not given out any clues that confirm that he is romantically involved with anybody at the moment. He was named in Algeria’s squad for friendlies against Oman and Qatar in 2015 but, however, pulled out at the last moment to join the French squad, thereby picking to play for the Les Bleus.